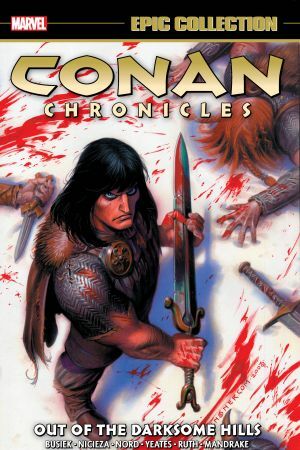 Collects Conan: The Legend #0 and Conan (2004) #1-19. The legend returns! 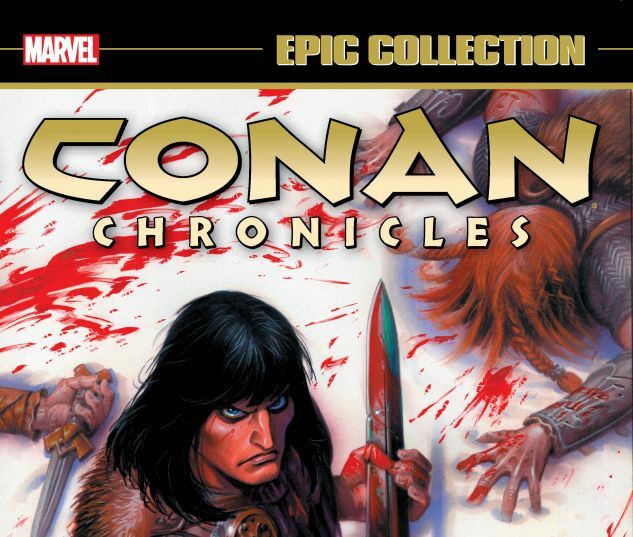 Conan the Barbarian stars in epic tales by comics veteran Kurt Busiek — including classics adapted from the works of original author Robert E. Howard! 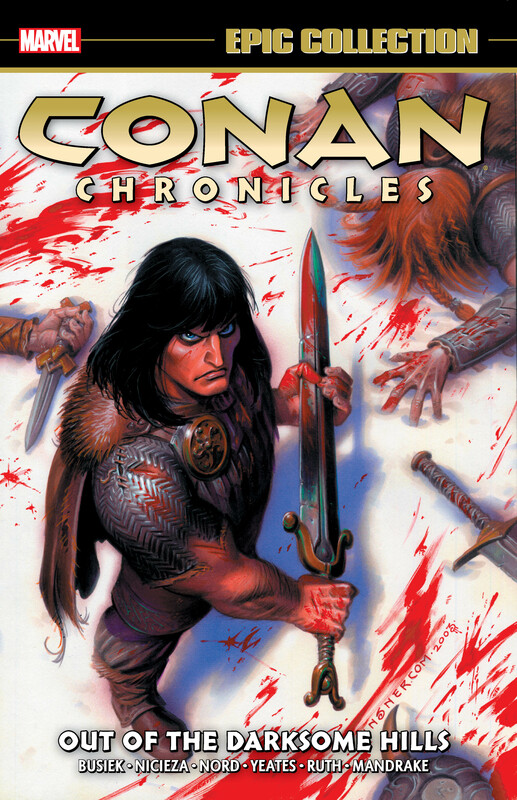 Whether he’s warring with the violent Vanir or meeting a Frost Giant’s daughter, Conan’s savage sword is always close at hand and ready for battle! The story of “The God in the Bowl” is presented in all its terrifying detail — introducing Conan’s notorious adversary, Thoth-Amon! But who is Janissa the Widowmaker, and what role will she play in the Cimmerian warrior’s life? Beware the Horror on Uskuth Hill — and the Thing in the Temple! And when two Nemedians walk into a bar, it’s no joking matter. Prepare for swords and sorcery of the highest order with the greatest barbarian of them all!